Finally, after several weeks of heavy generation, it looks like the Caney Fork will finally be wadeable soon. Unfortunately the crowds of people fishing and boating will be very heavy since we are now well into the summer floating season. 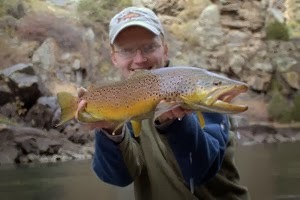 The river will still fish decently well although it may be frustrating to those wanting solitude. 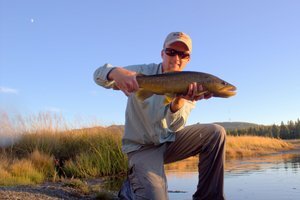 Anyone wanting a more secluded fishing spot should think about a trip to the mountains. 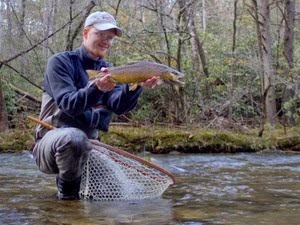 The streams in the Smokies are all fishing well from everything I've been hearing. Summer terrestrial season is now upon us and inchworm imitations and ants should both produce well. Bugs are still hatching including the little yellow stoneflies in the evenings. 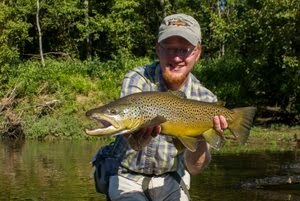 I still haven't been fishing much for awhile but hope to get out once or twice before my trip to Colorado. I'm thinking about a quick trip over to the pond nearby for bass and bluegill and I might also go spend a few hours battling the crowds on the Caney to see what the river looks like now. I expect it to look different in places because of the high flows, and I'm excited to see what new holding water is available to the fish. 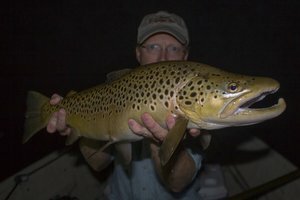 If you get time, lets have a look at what you're tying for CO.